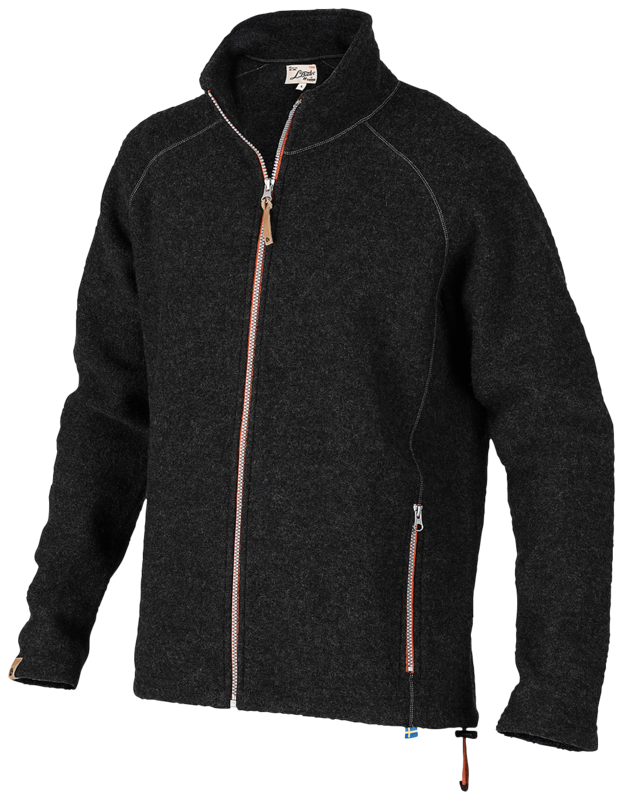 This comfortable felted wool top is made in collaboration with Ivanhoe of Sweden, a family company from Gällstad that has made knitted wool garments for seventy years. The material is completely natural, and has numerous exceptional characteristics. Above all, it maintains and even and comfortable temperature, it is breathable and it does not easily absorb odours. Yes, nature was really on its toes in product development: It even cleans itself as long as it is aired. Wool is a material with unique characteristics. It warms just as well even if it is damp.